The aim with these “Home Beers” posts was to keep them to roughly 1 per month. But I couldn’t wait to share this stunning batch. Forgive my eagerness? Crisp clean deep and golden. Lasting light foamy white head with lashings of tropical stuff on the nose, mango, peach and lychee? Really juicy…. Oh this is a juicy belter of a beer! 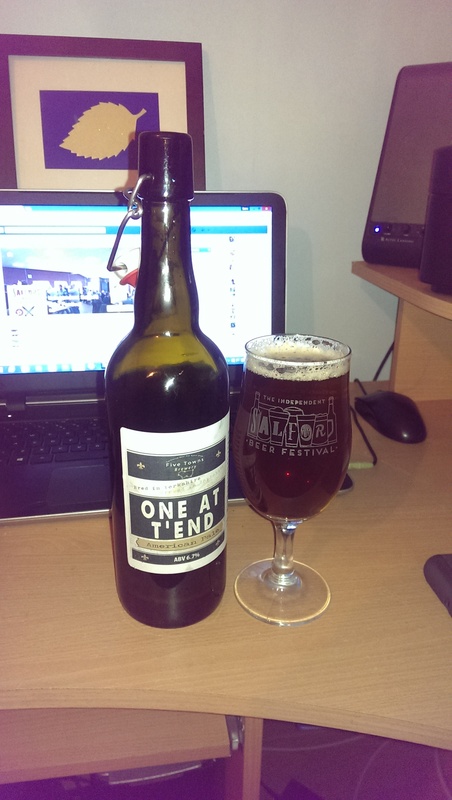 Good deep body, nicely balanced malty backbone with this fruitiness say on top. Mango, apricot? A bit of peach and a lovely bite of bitterness in the swallow, lovely and spicy. 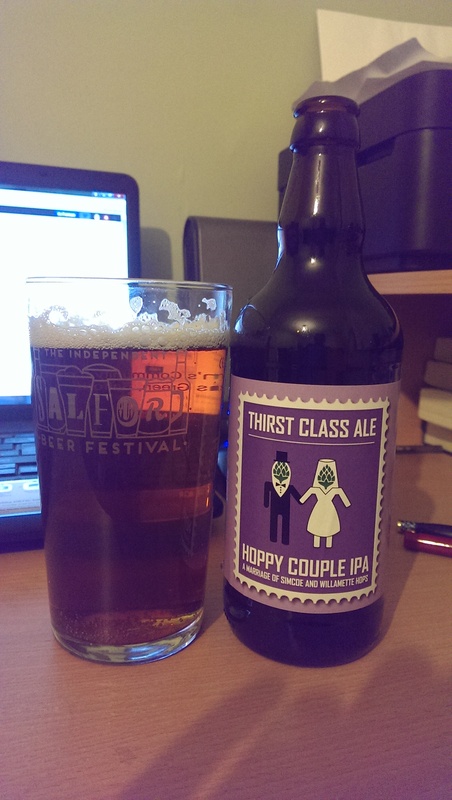 An earthiness to this hopping too, really dry with a lovely spicy hop aftertaste following the fruity, peppery finish. Typically Squawk. All kinds of yum! This Beer pours a lovely copper colour with a white light head giving off a big citrus aroma, orange juice and zest – like driving along the Costa del Azahar through the citrus groves. Really juicy and fragrant. Light to medium bodied, this slides down all too easily. Wholemeal bready malt with a touch of spicy dryness (Rye?) overlaid with that orange/peachy fruitiness makes this a beautiful sessionable beer. Really refreshing. Low on bitterness, this is a really easy drinking beer that belies its strength and feels really light and juicy. 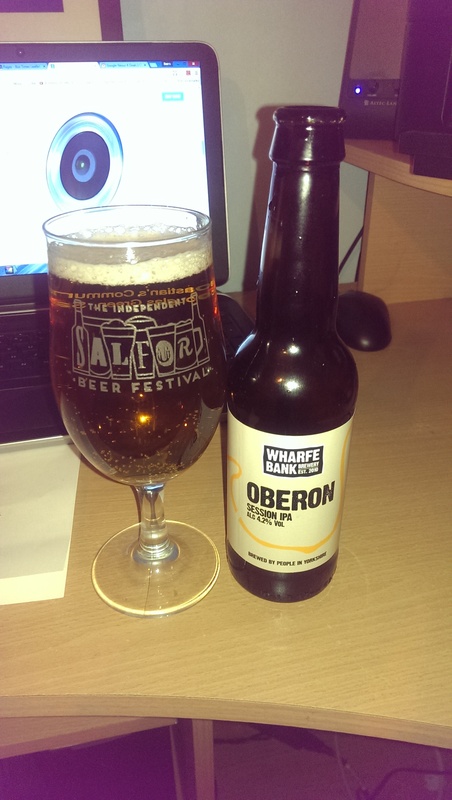 The finish is fruity and leads to a dry slightly resinous hoppy aftertaste. Black. Generally a good start with a Stout in my book. Nice light tan head too. And a big roasty aroma with a peaty smokiness reminiscent of my favourite peaty single malt – Lagavulin. Win. Win. Medium bodied. That peaty smoke is quite upfront, but gradually recedes leaving behind a really nice deep malty chocolate flavour. A bit like dark chocolate Hob Nobs. My. Kind. Of. Beer. That deep dark malty chocolate thing just rolls on and on coating my mouth in a lightly peated choccy biccy flavour. At that strength, this is something that (on cask) I could repeat. A few times…..
Nice shop / bar too. Report soon. Now. I don’t normally embrace the murky. But when it smells like THIS I don’t give a toss. It’s a mango bomb! Oh my, just pureed mango. Give me the pulp. Yum. Hazy gold, lasting white head. You get the rest? Big beer. Paradoxically, tastes bigger than the DIPA did when I had it on launch day at the brewery. But that matters not a jot. From the first to last mouthful, it’s just fruity and nicely spicy/bitter with the hop load. And yum. Big yum! Warming too. That huge fruitiness never lets up and leads to a big resinous hop finish. Just yes. And an early candidate for bottled beer of the year. 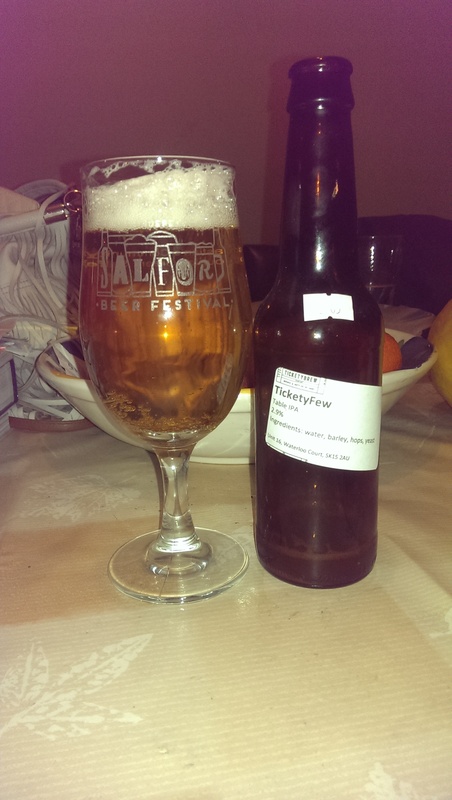 Summat Else – Five Towns Brewery (Wakefield) – 7.2% abv – Pale Ale – 750ml – Direct from the brewer. The moment that the lever bottle top was flipped, I was assaulted with sharp and tangy tart aromas of lemon and grapefruit. Like a citrus tsunami crashing against my nostrils from this pale golden beer. Woah! This is a big beast. 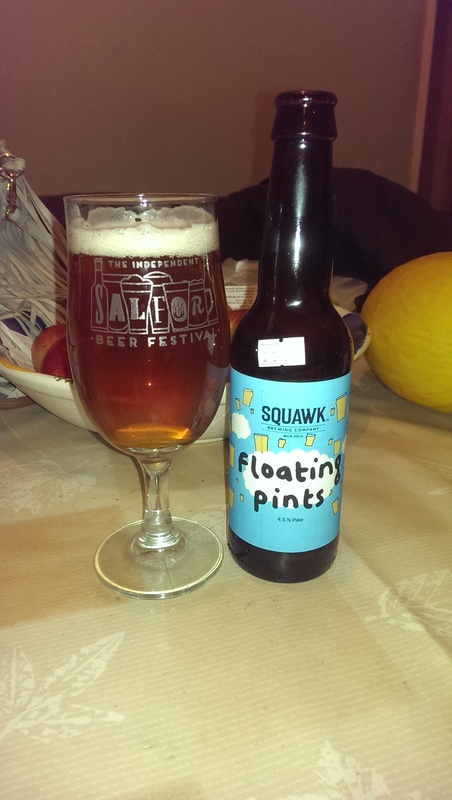 There is a big sweet biscuit malty base to this, a bit like a flapjack drizzled with maple syrup. 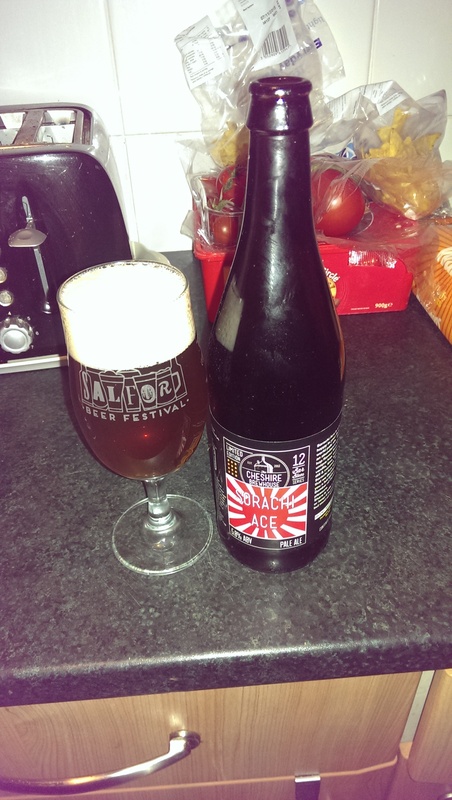 This is then overlaid with a huge fruitiness full of mango and grapefruit tartness. Lightly carbonated, this adds to the impression of a really smooth beer. It’s described as a Strong Pale Ale. And you don’t forget that with each chewy fruity mouthful with a little apricot in there too at the finish leading to a moderate bitterness. 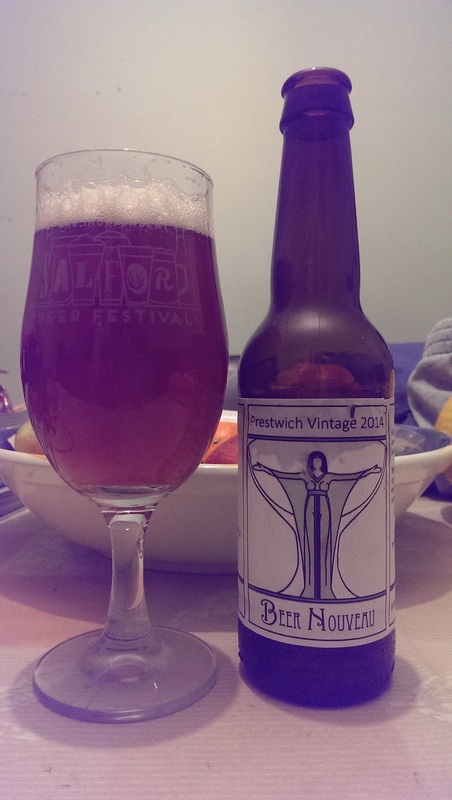 Find of his strong Pale Ales is Mr Bastow. I can see why. This is a brute. The fruity bitter finish leads to a substantial resinous hop aftertaste that rounds this beer off superbly. This is up there with the best English IPAs for me. This, really is “Summat Else”. And another early candidate for bottle of the year. Five Towns are a bit of a Yorkshire secret that Yorkshire folk like to keep to themselves (I was reprimanded by one Yorkshire drinker for recommending their beers last week) With beers like this, the secret should be well and truly OUT. A beer that I adore. In all its previous incarnations. Original, Brandy cask aged, White Wine barrel aged and now this. 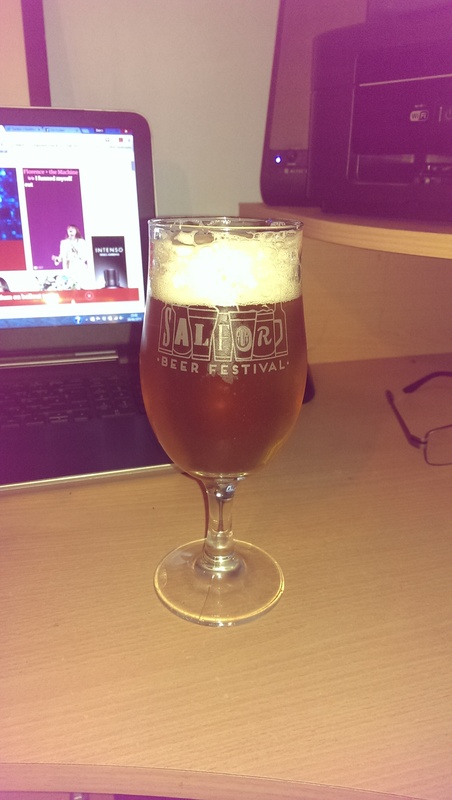 With an old and rare strain of malt, regrown and snaffled by Shane Swindells. How I wanted this beer SO badly. So. 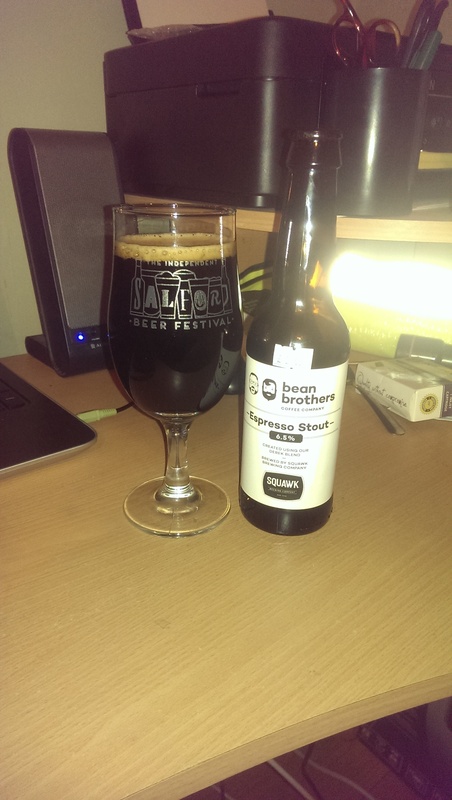 Deep amber coloured with a good soft white head and a huge fruity aroma full of…. caramelised banana…. I was warned that this malt was…. different. Oh dear. This feels like it should help me sleep…. A full-bodied beer to say the least, this IPA is a different kind of fruity. Agreed in 3 different wooden casks, then blended back to produce this. And this is one special beer. 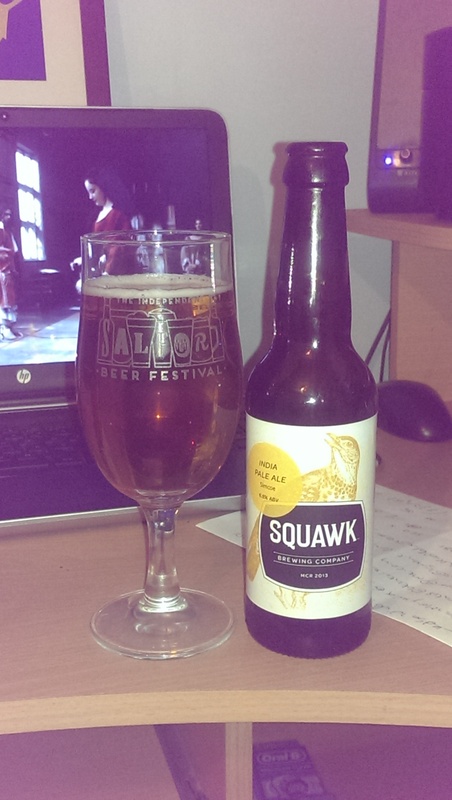 There’s banana, vines full of raisins, hints of pear and apple all on top of a deep chewy fruit cake malt. Yes, there’s sweetness in here, this is a potent malt. 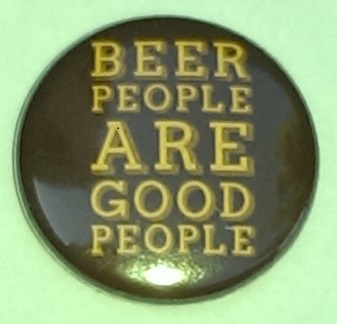 But there is also a tingling smooth bitterness in every mouthful, balancing that malt. There is a warming feeling too that this beer brings from the barrel ageing. 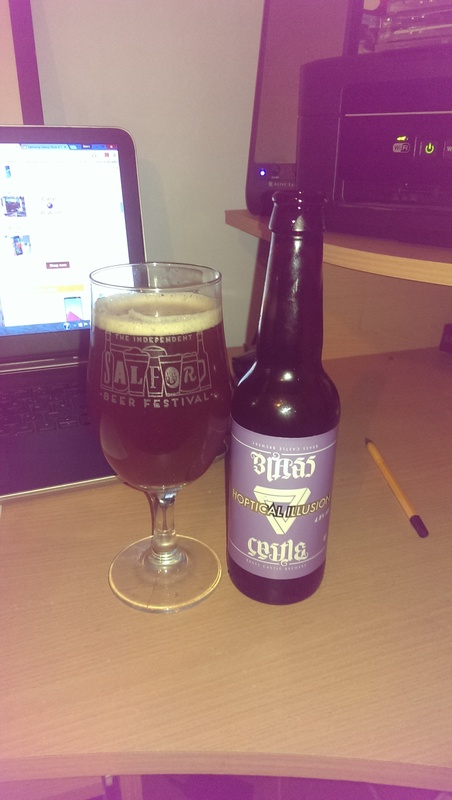 Definite brandy and that fruit cake feels like it has been soaking in rich deep winey flavours. The finish is long and warming, with plenty of deep grassy hopping in here, smooching in with the warmth. This is only beer made with Chevallier malt in 2015. And Shane is proud of his baby. He should be. This is a very special beer. Bottle of the year candidate. And I have a spare or two that I’m going to age for a year. A truly superb batch of beers. I couldn’t hold on in case they all went and you couldn’t buy any. I owed you that much! After May 7th and the shocks contained therein, I struggled a bit. 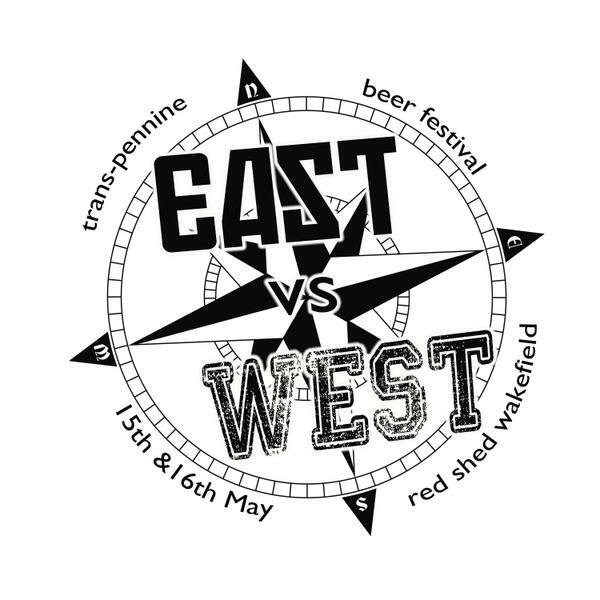 I won’t wibble on about politics, I’ve got too much to do to wallow in self-pity, what with planning for The Independent Salford Beer Fest 2015 and all, but now is a time that I cling to what’s important. People. Hence why we’re having our little bash again in October. Announcements soon. Thank you Mr Heggs! I finagled this from him at the excellent Shebeen 2015 whilst we were sat in Black Jack and I was getting sozzled. And very cheeky. Copper coloured and with a firm white head, this beer gives of an aroma that reminds me of a spicy fresh-baked wholemeal loaf. But one with a distinct citrus note. Really appetising. 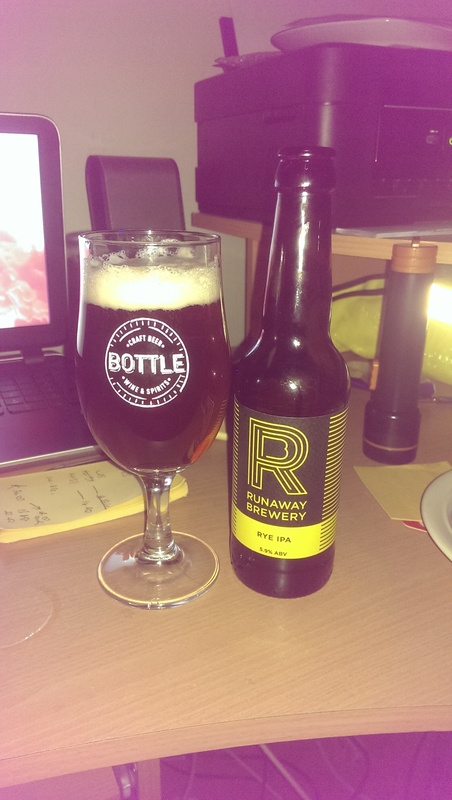 Smooth with very gentle carbonation, the fruity front is mugged by spicy rye dryness. The fruitiness is huge, with orange up top with more than a hint of mango. But that fruitiness can’t escape this thuggish spicy dryness. It’s brutal. And Oh so bloody moreish. I don’t get it. 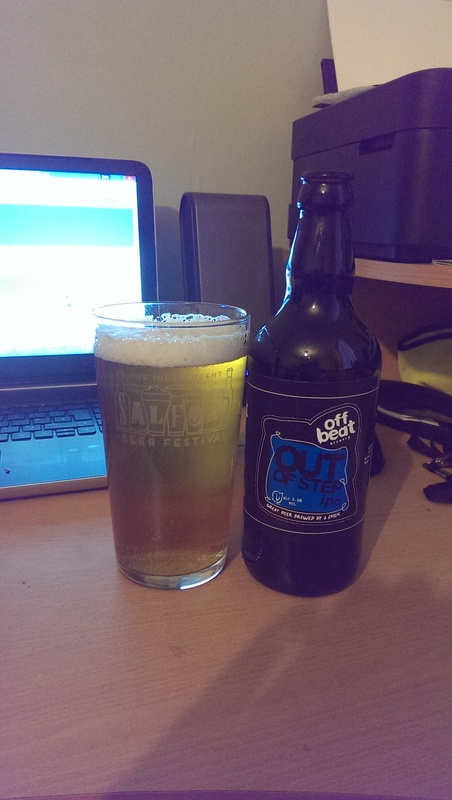 Why don’t we see more of Offbeat’s beers in Manchester? 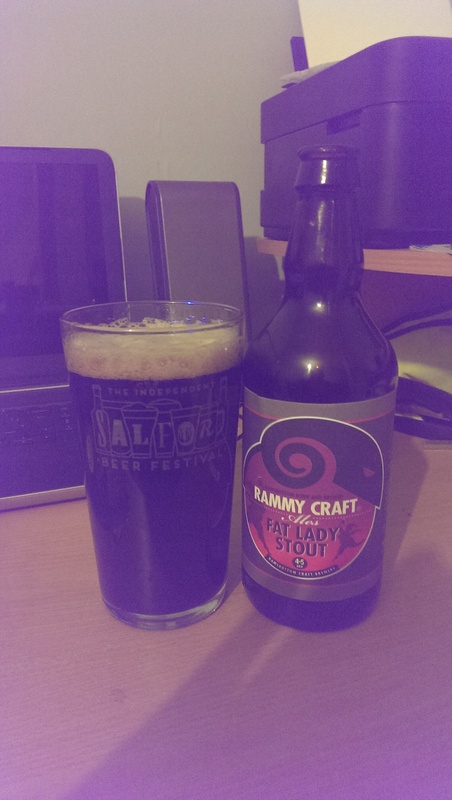 Michelle makes some simply fabulous beers and I can’t se them in Manchester? Ludicrous! A mid golden beer with a fluffy white lacy head, (slightly hazy due to a misjudged pour), really fruity aroma on this with apricot and grapefruit in the nasal vanguard. Oh this is nice indeed. This is a full-bodied beer with just right carbonation. The fruitiness in the mouth being more apricot but this time with something a little more tropical, like mango and passion fruit. There is a bracing bitterness in this, which (to me) should be in all IPAs. 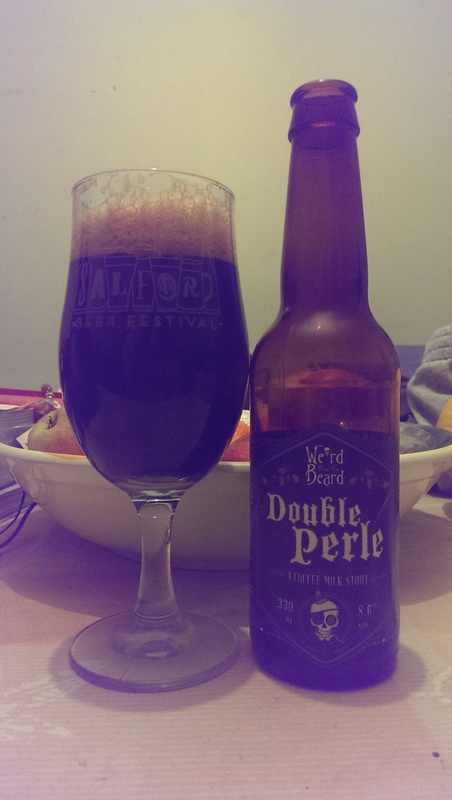 There is a cracking resinous finish to this with that fruitiness in there too. This is a belting beer from a criminally overlooked brewery. We need some of her beer in Manchester. And sharp! 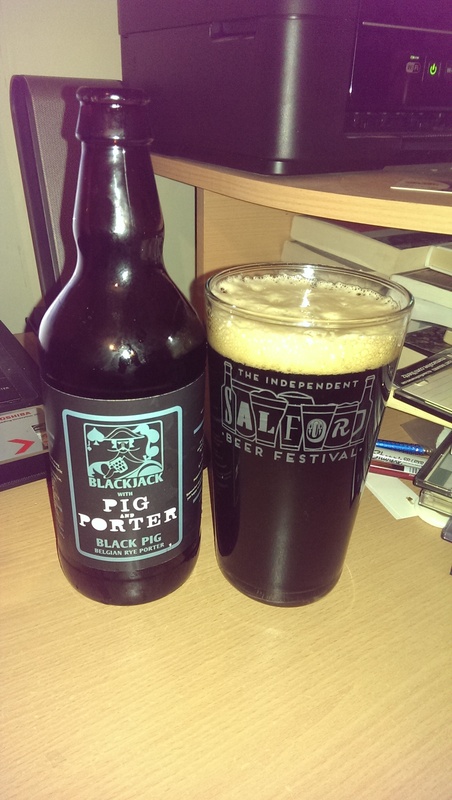 A black beer with a creamy coloured head giving off an aroma of bitter chocolate with a hint of licorice. Medium bodied with an initial sweetness, that soon slides into something more dark roasted and lush. Quite creamy textured, with bitter chocolate front and centre. That bitterness wanders more towards coffee on the swallow and a substantial bitterness takes over. 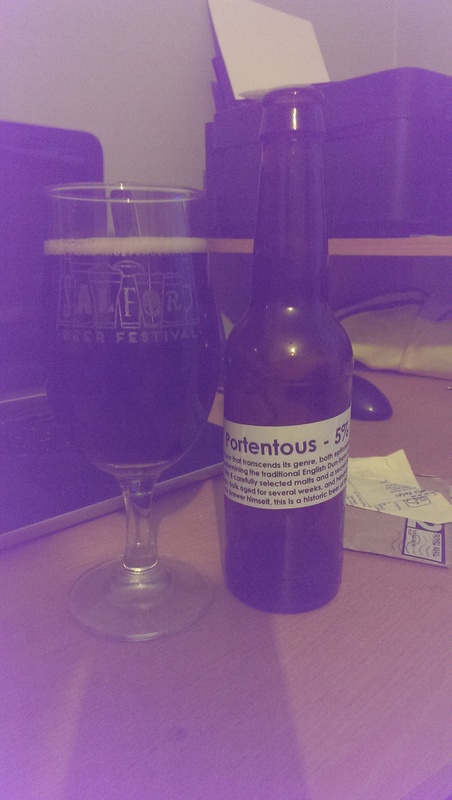 This is a sessionable dark beer after my own heart, with the dry bitter finish I enjoy in a mid strength Stout. Who needs Guinness when you have beers like this? Peter is (I think) one of the Manchester Home Brewers group. He certainly isn’t commercial at this stage. If I remember rightly, i saw this bottle in his hand at the MBCF and nearly ripped his hand off! A deep ruby brown beer that is almost black with a light cream head and a big chocolaty aroma. 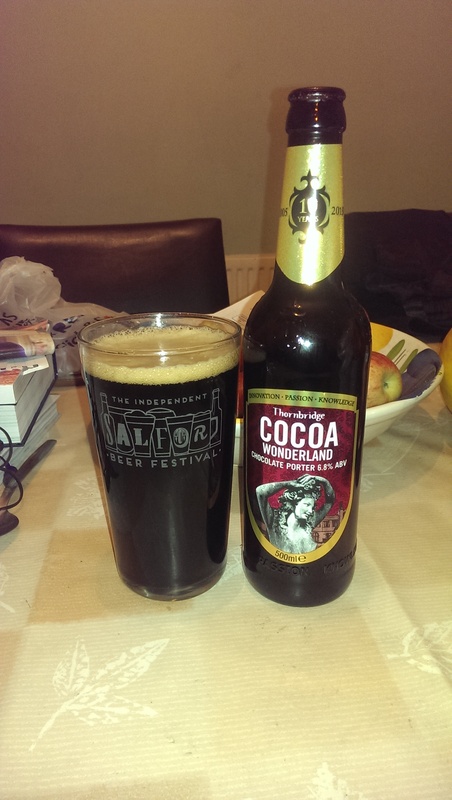 A medium bodied beer, the first thing to tickle the tongue is chocolate. This is slightly sweet and really chocolaty. The next is a little winey note, like a smooth red. Then a tongue tickling spice, slightly peppery, like rocket. And all the while, that chocolate…. The aftertaste retains the chocolate, but there is a spicy woody feel to it that completes this nicely. A damn fine Porter. And brewed by a home brewer too! The best praise that I can give, is that I’d happily pay for this at a bar. It’s that good. In the mouth, there is a nice fruitiness to this initially, which meets a bitter herbal counterpart in the sage that is added to this brew, that bitterness almost catches me unawares. That bitterness fades and an almost tea like tannic aftertaste kicks in, really dry. 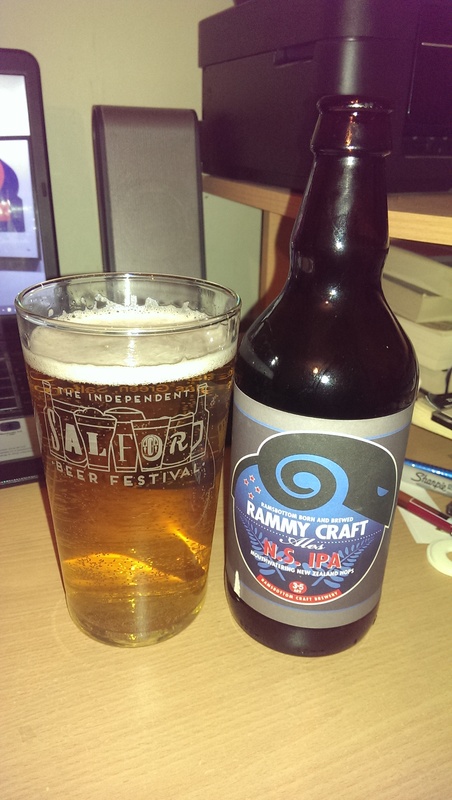 I wasn’t sure about sage in a beer, but this light, Pale and refreshing beer works a treat for me. Slainte! Made with fresh roasted coffee from Bean Brothers, unsurprisingly, this positively reeks of coffee. As bitter as Nigel Farage as the result was called. There’s a herbal licorice note too in the background. 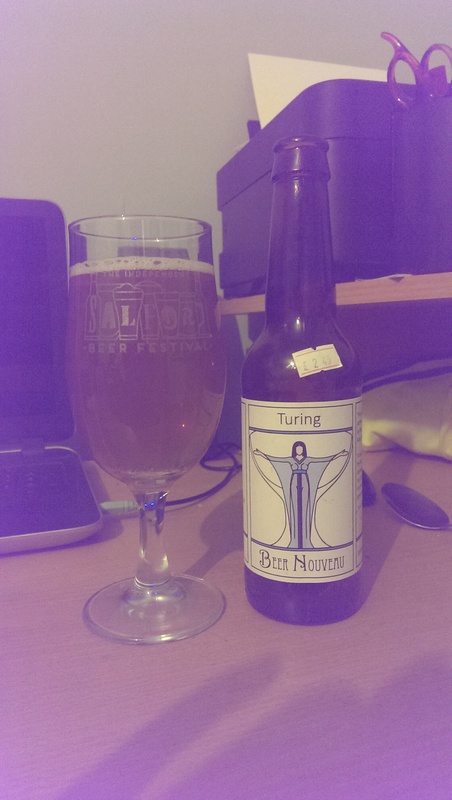 For a 6.5% beer, this feels quite light and sprightly, at first, a little sweetness then BAM! Eyelid pinning coffee hit…… Yup. That’s definitely a big coffee flavour! With that underlying big Stout sweetness. There’s quite a spicy thing at the back of the tongue as the beer slides you towards sleeplessness going down the throat. The roof of the mouth tingling after the swallow. A fine beer indeed. If a little ill-advised before bedtime! 7. 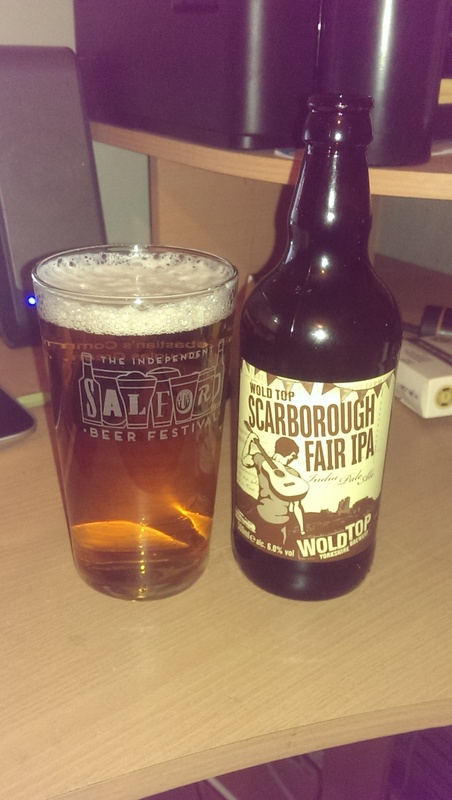 Scarborough Fair IPA – Wold Top (Driffield, N Yorkshire) – – 500ml – Birthday Pressie! Thank you Sue! This bright ultra Pale golden beer has a light white head and a really fruity aroma, tropical fruits with passion fruit and kiwi flying out of the foam. Full bodied is this beastie, whilst perversely feeling light. Really fruity with that kiwi well up there, but a big refreshing and tart lemon hit was a more than pleasant surprise! For a beer at this strength, this is WAY too refreshing and just damned drinkable. There’s a nice light malty biscuit and a big balancing act going on because these hops are just beautifully tart and give a big dry finish that leaves you wanting more. An absolute belter and a really nice beery pressie amongst the cognacs & single malts! Blame Coneygree. Yes, blame a horse. It was the horse’s fault that I was out last Saturday. For those NOT in the know, Coneygree won the 2015 Cheltenham Gold Cup. And I backed it, along with 4 other winners. So I fancied a pint. And a trip down memory lane. It’s all too easy to go in the same pubs all the time. I’m as guilty as anybody else. But on this night, I wanted something different to the usual comfortable “same old”. 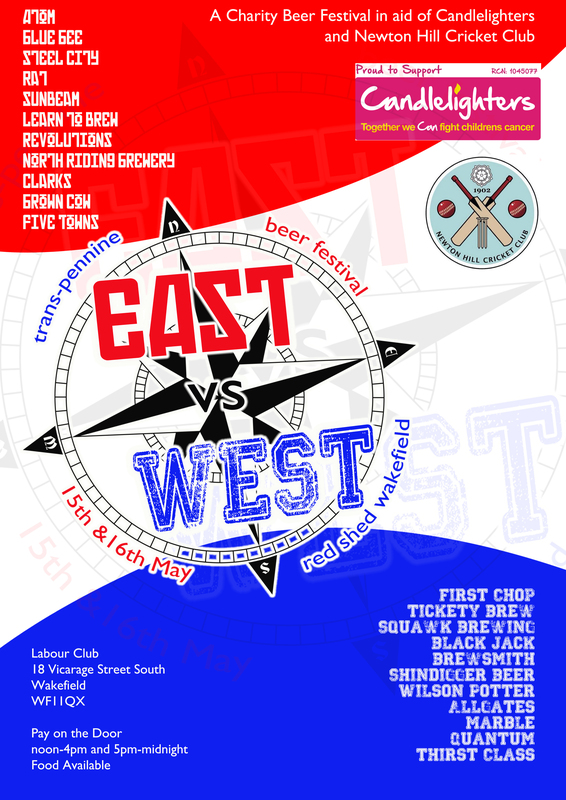 So in a week of new beery launches (think Cloudwater and Piccadilly Tap), it felt right to check, take a step back in time and…you know…appreciate what we’ve already got. So, when I met the Arch Nemesis, within striking distance of Port Street Beer House, we turned right – onto Dale Street – and kept walking. To somewhere far less vaunted. 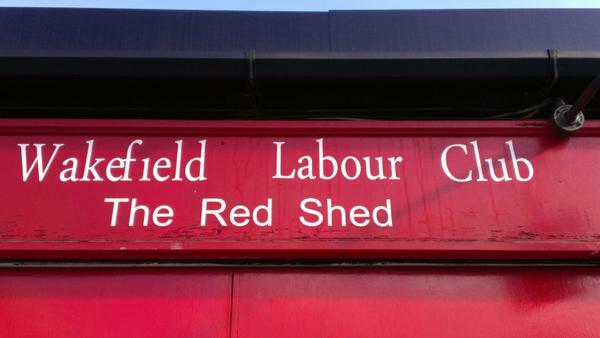 But a Manchester jewel. It seems to me that my visits to this pub are separated by decades, which saddens me. 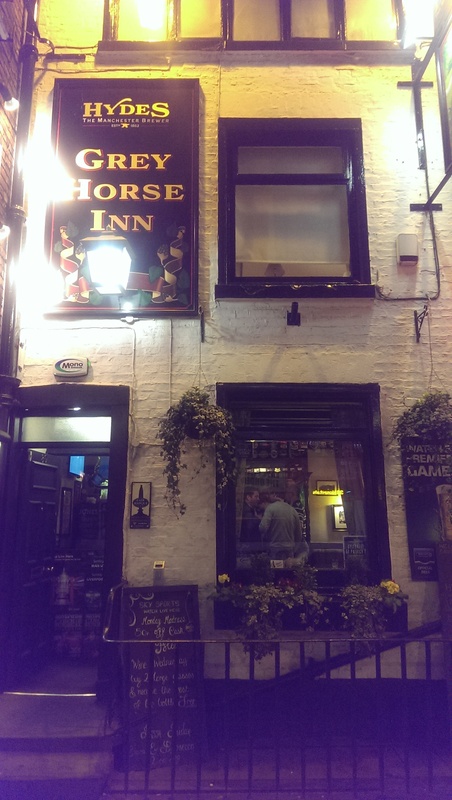 This is one of the smallest pubs in Manchester and – given it’s location adjacent to the rapidly redeveloping Piccadilly Basin – is precisely the kind of pub that we could lose. Walking in, the first thing that I noticed was the absence of the old pool table. A shame, but it really opens up the place, allowing a few more tables. The next thing was, just how bloody friendly the place was, both mine host and the punters around the bar were just so warm and welcoming! Which was quite a surprise, given that this is a “Blue” pub and we walked in just one minute from the end of the Burnley v City match and City were 1-0 down! The sound of a title challenge flowing down the drain…… Banter was exchanged whilst beers were ordered. Located at the junction of Ducie Street and Pigeon Street, properly tucked away in the shadows of Piccadilly Basin’s flats and warehouses, there has been a pub on this site for over 125 years and (according to the excellent resource ManchesterHistory.Net) it is positioned on the site of a former school. I’ve seen it described as an “Irish pub”. It isn’t. It has had (and may still have) Irish folk running it – it certainly has the kind of friendly welcome I associate with true Irish pubs from over the water. A single room is almost split in two by the entry door and – as a result – curves around the entrance with table either side. The bar is small and the sole cask beer is Hydes Original. The Arch-Nemesis ordered two pints and we sat down to admire its charms and it IS charming. Did I say it was tiny? 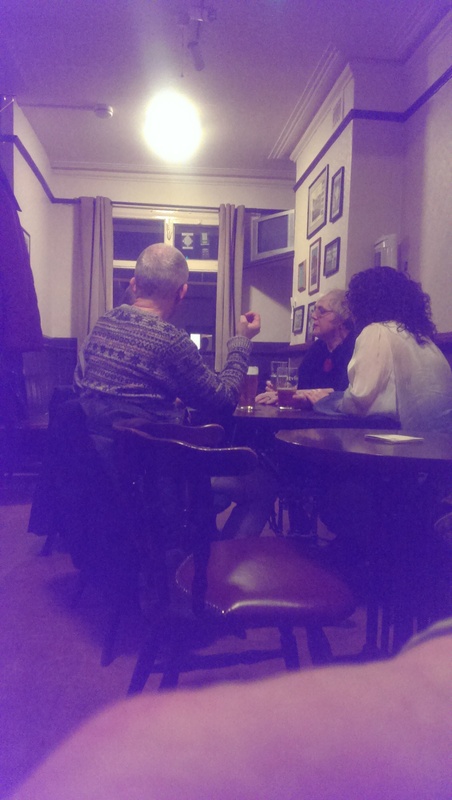 This is just a bright uncluttered pub with the accent on conversation. And a decent pint. The Hydes Original just did the trick. Nice bitterness with a bit of spicy orange fruit in there. And at £2.70 a pint, is this the cheapest standard pint in Manchester (outside of a Wetherspoons)?. This is a classic old school pub, the likes of which seem to be disappearing. More people need to experience pubs like this. It’s a thing of beauty and overlooked by those who prefer the hipster chic of nearby Northern Quarter bars. This is real Manchester. My City. And I adore it all the more. A 5 or 6 minute walk back along Ducie Street, turning left along London Road and past the – still stunning – historic London Road Fire Station, lies a grander proposition. Located on an unusual triangular plot, extremely handy for Piccadilly Station being just 60 seconds walk from the Fairfield St entrance, this is another open plan, single roomed effort. Lots of wood, really decorative and ornate, Victorian style lighting. Just to the left of the entrance is a strange, attractive small raised seating area. Quirky. According to the pubs’ own website, there has been a pub on this site since 1787, whilst according to the goldmine that is “Pubs Of Manchester“, 1786 is quoted both of which would make it one of Manchester’s oldest boozers. 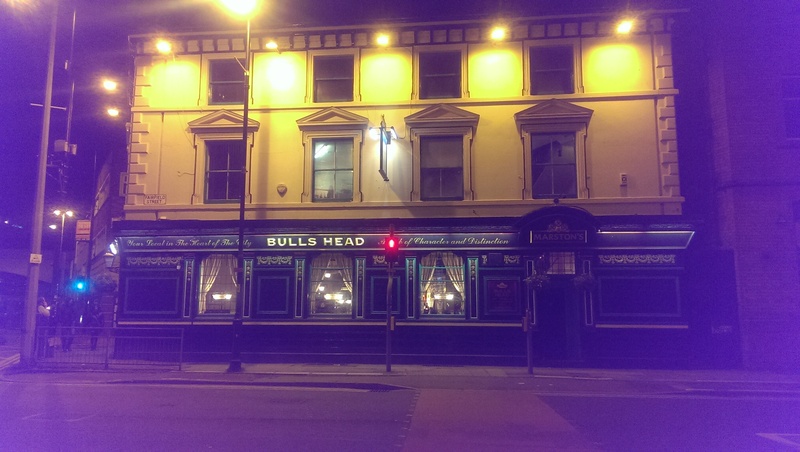 It is safe to say that it has seen the city reshaped around it, Fairfield Street itself didn’t exist and appears to have crashed through adjoining buildings, leaving the Bulls Head in splendid isolation. 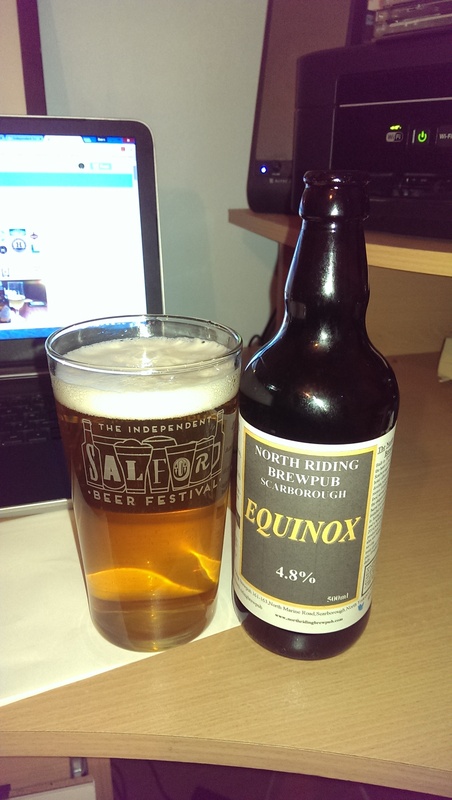 The beer….is (tonight) entirely comprised of beers from the Marstons stable of breweries. 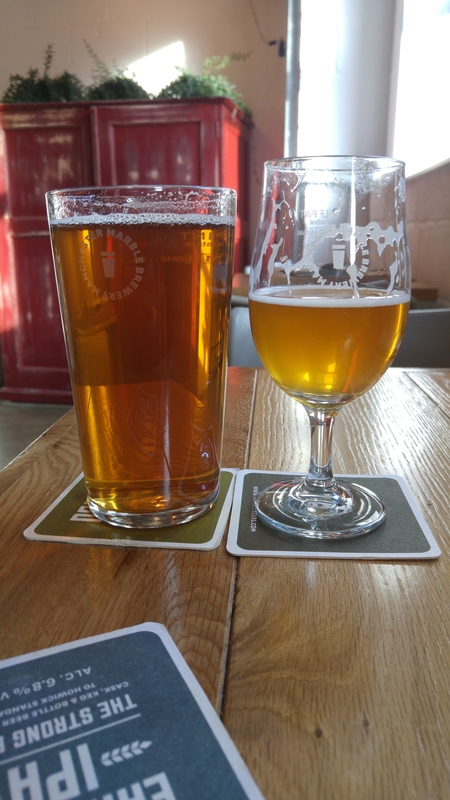 I plumped for a beer that I’ve sampled on my frequent trips to Hampton Loade, Sumbeam by Banks’. And it was lovely. Refreshing, Marmaladey and just the right amount of bitterness. Not as intimate as The Jolly Angler perhaps, but an impressive pub nonetheless. Some accommodation coming soon apparently, will make a pleasant change to all the faceless hotels that Manchester seems to have. Crossing back over Fairfield Street and returning along London Road to Gore Street…. Turning left onto Gore Street feels almost like stepping back in time. 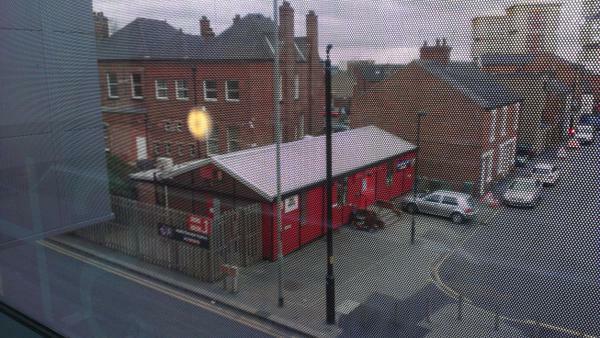 That said, I’d forgotten how close this pub was to London Road. 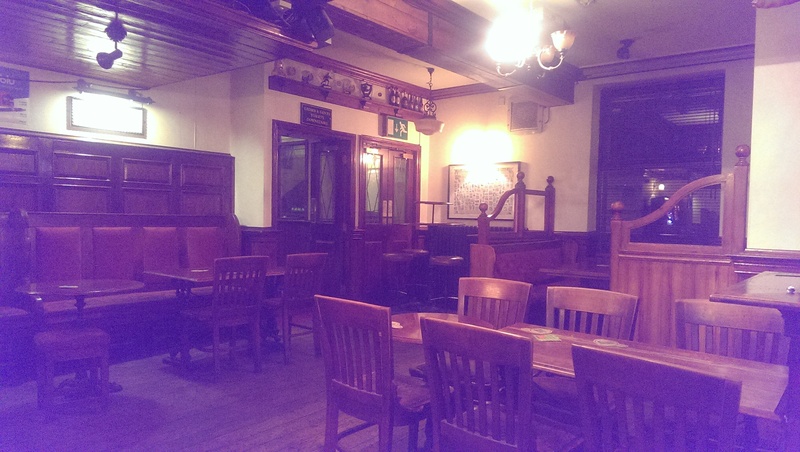 Big and open – again, single roomed – pub. Lots of wood. 3 sided bar with the usual macro suspects. 4 handpumps, 3 in use. 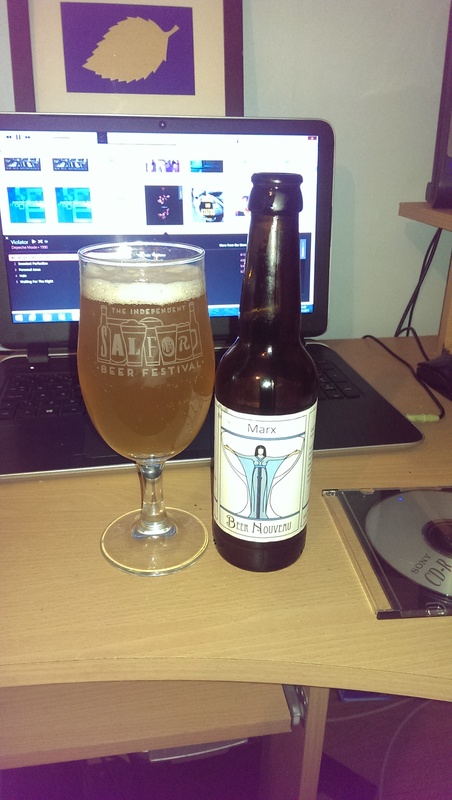 Landlord, Doom Bleurgh….and…..Phoenix White Monk! Oh the joy! Formerly the Woseley Hotel (source Pubs of Manchester & others), ManchesterHistory.Net doesn’t give it an age, but this MUST be over 100 years old and it was (in 1929 – source Pubs of Manchester) called The Woseley Hotel having been so named in 1883 changing to its current name in 1929. Lots of wood in evidence. 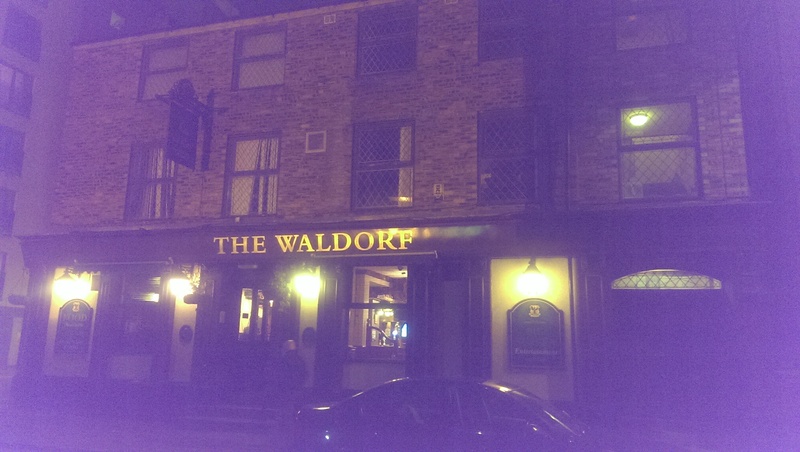 Looks like the Waldorf has escaped being knocked about unlike some nearby pubs, it retains a certain Mancunian charm. Sparsely populated this particular evening, there was a particularly refreshed individual hovering close to the jukebox who seemed to have a love of 90s indie music. Am I the only person who thinks that great music by-passed the 90s? The beer was in good nick though. Nice to see Phoenix on the pumps, a brewery I see all too rarely in Manchester these days. Cutting across toward Chorlton Street – since WHEN did Stagecoach enclose the entrance to the bus station with barriers ??? 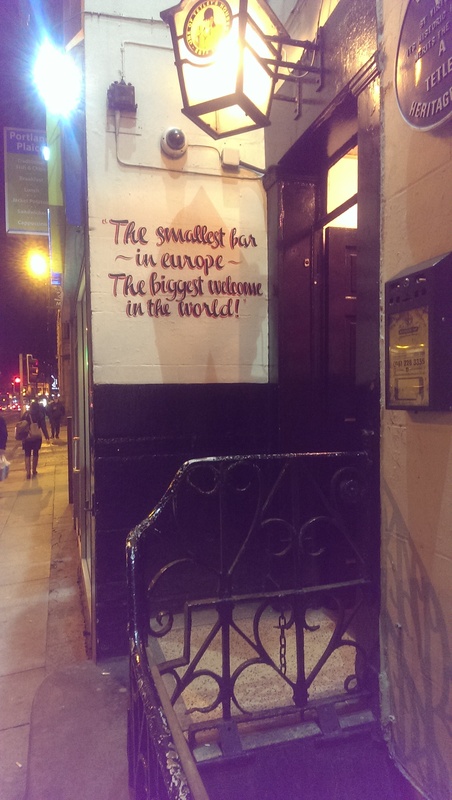 – we headed toward two of the smallest pubs in town, almost side by side on Portland Street…. Back in the 80s & 90s, the only way that you could get in The Circus after 7pm at the weekend was (so legend has it) via a little known entrance via the rear. It is, indeed, tiny. The size of the bar is legendary and for many years, all you could get was Tetley Bitter – no lager or cider to be had. It was THAT busy, that I couldn’t take pictures. 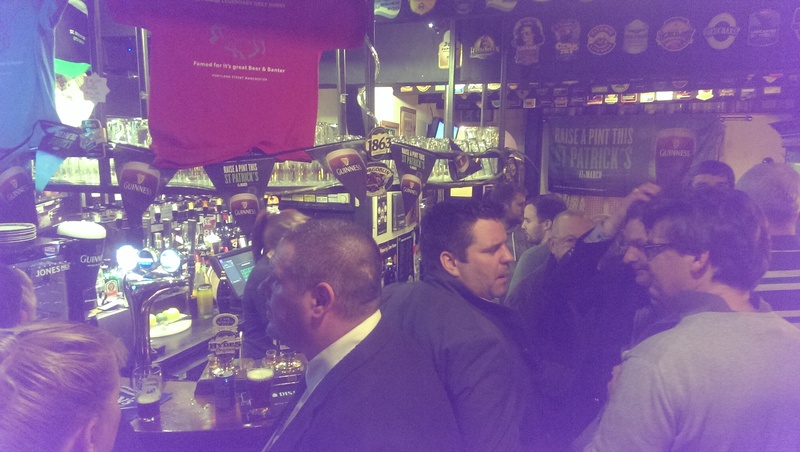 This pub is….narrow…..and tight! The corridor is incredibly narrow. It is always full though as both of the rooms that are on the right hand side rarely seem to have a spare seat. This is a pub that, when people get a seat, they keep it. Again, lots of wood and plenty of original features. The pub is rated as having an interior of National importance by CAMRA and is indeed Grade II listed. 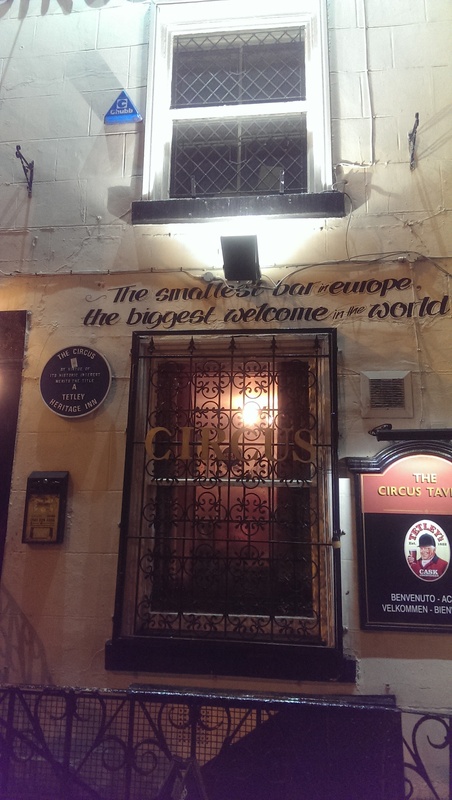 I see no reason to doubt the excellent “Pubs of Manchester” blog, which dates the pub at 1790. The pub has attained legendary status with its diminutive nature perversely attracting more customers and is rated by many as one of Manchester’s “must visit” attractions. The pub is dominated by pictures of Celebrities (real Manchester “A” listers) that have visited over the years, although – being a blue – there was something quite disturbing about a semi-naked George Best seemingly watching me while I drank my pint! I had the Robinsons “Dizzy Blonde” which was, according to Jaz was the lesser of the two, with Tetley’s winning out. Almost as narrow as The Circus, The Grey Horse has a single roomed layout, and – as such – feels considerably more spacious. The Horse has the feel of a local in the big city. Single roomed, as stated, this has what I think may be a unique feature in Manchester, toilets that are semi – outdoor. Quirky, but the entrance area is covered unlike in the 80s. Two Hydes pubs tonight. Both feel really welcoming and friendly. The Grey Horse being considerably the more busy, no doubt being on Portland Street helps in that regard. Again, mainly Hydes’ beers with a rare sighting of Butcombe Bitter as a guest in Manchester, I had Hydes’ Beer Studio offering “Styrian Aurora”. Vast improvement on the Robbies from next door, if not exactly the highest of praise, it was a good fruity beer with a bitter edge. Justly busy and with all the noise down just to conversation. A joy. 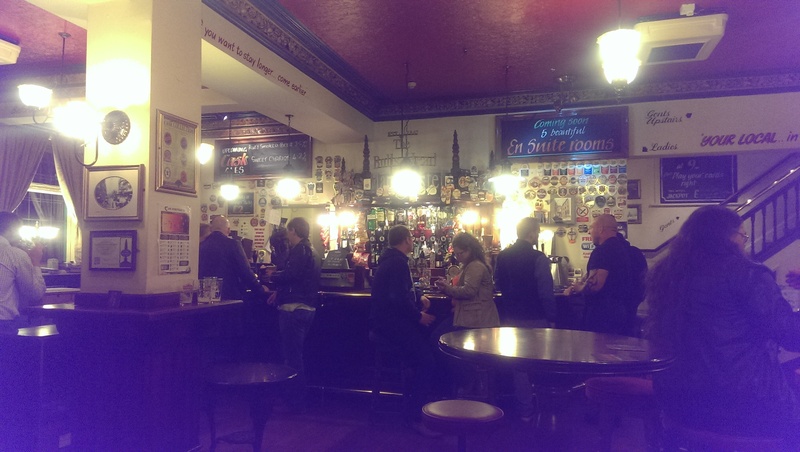 This was an early finish, so we scooted across town for a couple in The Crown & Kettle, my favourite Manchester pub. 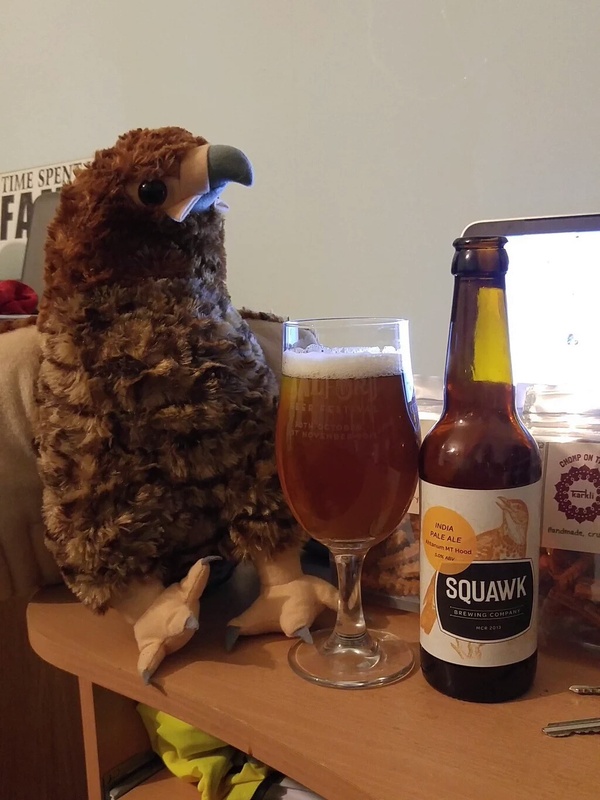 I won’t wax lyrical about the pub, but the Squawk IPA (Cluster Galena Chinook) at £2.95 and 6.3% was absolutely stunning. I had to have 2! 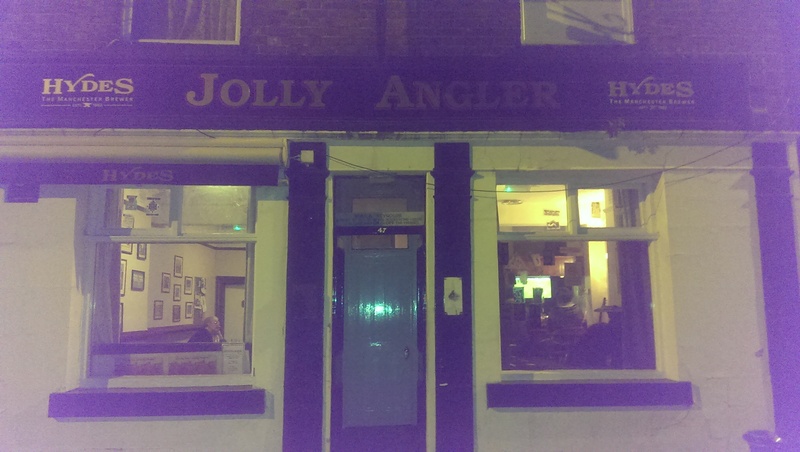 Whilst Manchester has several justly lauded hostelries, it’s always the unheralded pubs like The Jolly Angler that appeal most to me. In the words of “Two Cousins” by Slow Club “Hold on to where you’re from, it’s where your heart goes when you’re done”. Thanks, as before, to two great repositories of pub information, Pubs Of Manchester (go follow on Twitter!) & Manchester History. Net – without whom…..
“They took all the trees, put ’em in a tree museum. b) Sums up my feelings about the need to appreciate things while you still have them. Like the pubs above. I’m not anti-progress, just think that forwards is the not the only direction! We have some truly great pubs in this great city, like the Jolly Angler. In the week that Piccadilly Tap opens a few hundred yards away, I know where MY heart lies.